Beards of bushiness are gone. Instead, we see a calmer, more controlled version. The shape of the shorter take on the long beard follows the face’s shape; also, the lines on the cheek are sharp in order to contrast with the full, natural and unpredictable growth below. Finally, the bottom of the beard lies up to two inches below the chin. Who’s it For? This style works best if you have extensive facial hair growth. It is a good way of concealing a smaller chin, a double chin or elongating a rounder face – but if you have a longer face, choose a beard that’s a bit shorter. 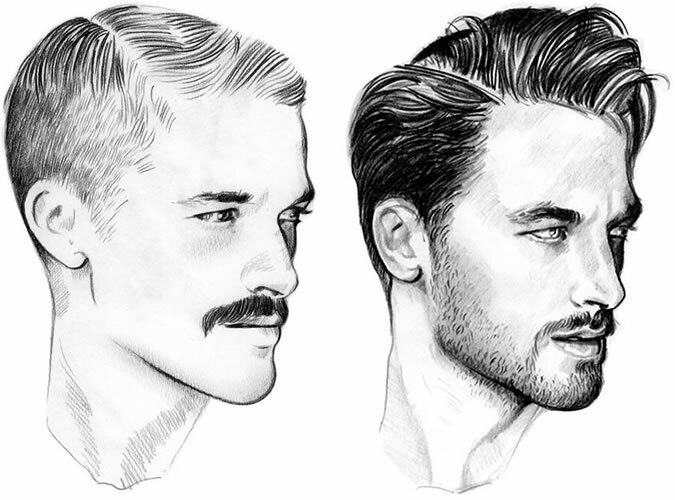 How to Get It: Patience primarily, because as the longest of the facial hair styles on this list it could take few months to grow to the required length. Make sure that during this time, you don’t remove any weight or hair from the interior of the beard (especially underneath between the chin and neck). It’s this hair that will eventually form the foundations and support the full beard. Only trim the lines on the cheeks if they are growing too high up. Once you’ve grown your beard and shaped it to suit your face, care is the key. Use a moisturizing shampoo to help the beard retain its moisture, otherwise it could flake and cause beard dandruff. Also, while damp, run an argan oil through it with your hands to keep it moist. For a more thorough styling, and to iron out any kinks, use a paste. 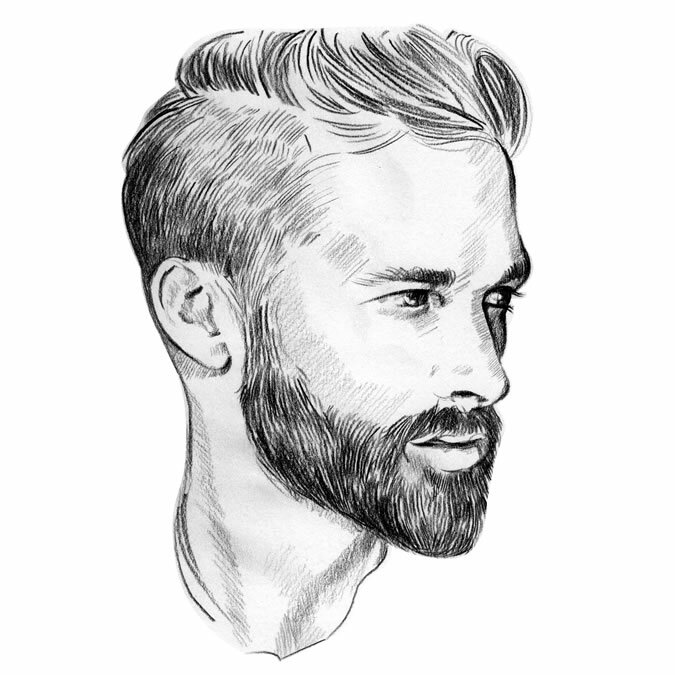 Apply a hair paste to your damp beard and blow dry on low-medium power while brushing to relax the beard’s hairs. Not only will this make your beard appear longer, but it will also make it easier to shape and style. A shorter beard is a versatile look that can slip in with most hairstyles, and appear smart and rugged at the same time. The shape follows the face’s angles, and the beard is kept close to the cheeks, with the hair measuring around 1cm long. As the beard approaches the chin, it is left ever so slightly longer, in order to elongate the face and give the beard a better, more masculine shape. Who’s It For? Good growers since you will still need ample coverage to avoid any patches and uneven lines. 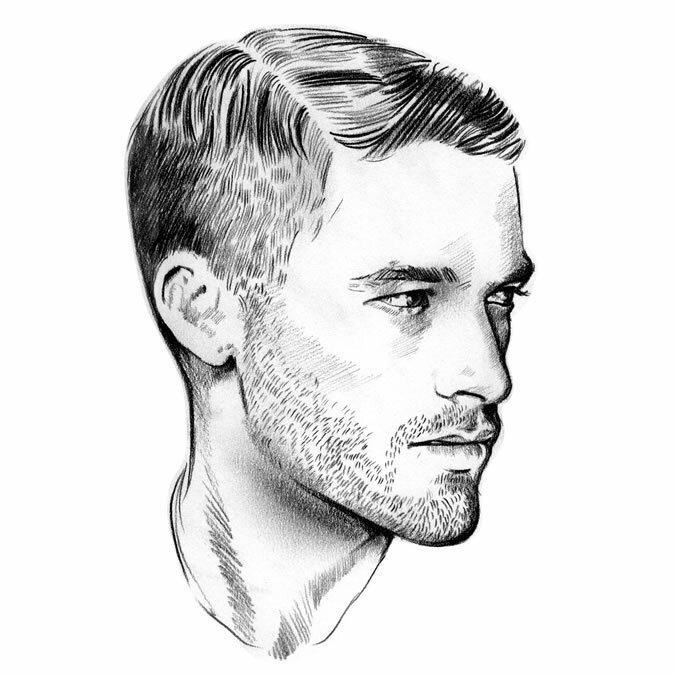 In terms of face shape, this style is achievable and adaptable, one we can see plenty of men wearing. How to Get It: It shouldn’t take much longer than a month to lay the foundations for this style. It does, however, require upkeep once full grown. You will need regular trims, done either by your stylist or at home with a set of good trimmers. You will also need to keep your skin in good condition by exfoliating and moisturizing around the beard and using an argan oil to keep the hairs hydrated. Note: For extra definition above the cheeks, use a set of detailers to get a nice sharp line. Is making a bit of a return and the decision isn’t so much whether to wear one, but how to wear it. Leaving your hair to grow more pronounced on the upper lip provides contrast and shape, whether you choose to wear it with an otherwise clean shaven face or a well-groomed beard. Who’s it For? Provided you have the wherewithal to grow one, and the patience to groom it, a mustache suits most men. There are plenty of variations so you can tweak yours to your taste. Do though think about whether a mustache fits with your personal style before committing: A mustache is going to work better with your look if you tend to dress yourself quite smartly rather than wearing active wear or fitness wear daily. How to Get It: The best way to grow a mustache is simply to leaving it alone. Do not trim above the lip; train the hairs out to either side of the vertical groove between the base of the nose and the border of the upper lip. Use a mustache comb to straighten it out every now and then, and apply a wax to keep it in shape. Follicly challenged in the face area? Fear not. This designer stubble – the style of choice for discerning men, looks to continue to soar in popularity. Who’s It For? Anyone who can’t because of genetics or workplace-related reasons, or doesn’t want to, grow a beard. Stubble also suits a fuller face and stops it from looking so round as shadow and definition are created by the lines shaven in. 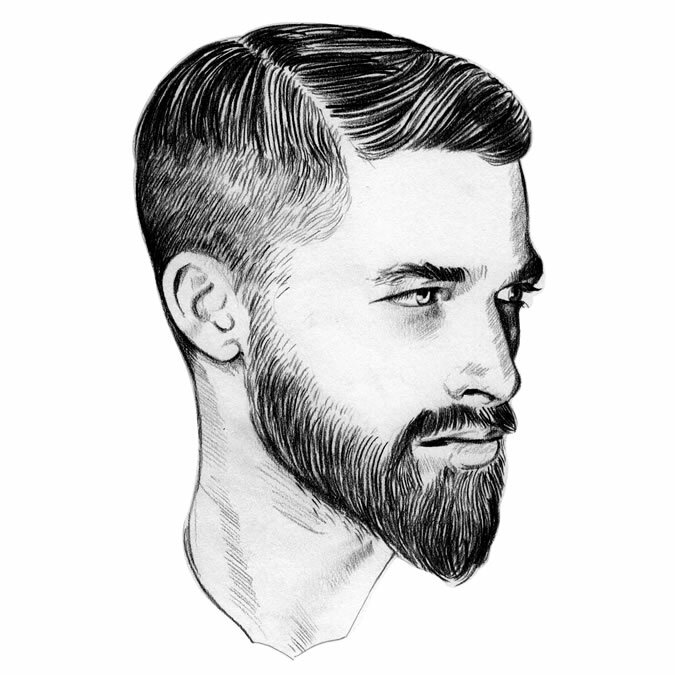 It is versatile and won’t dictate your hairstyle as much as having an actual beard would. How To Get It: Allow facial hair to grow up until it gets itchy. Note where your hair growth begins, ends, is patchy or uneven. Use the lines created by your bone structure to help guide where you want to keep the stubble and wet shave everything else. Use a good quality safety razor for the cheek lines. When shaving down the stubble to the desired length, use a set of beard trimmers and make sure to sanitize the guards and the actual razor head after use, otherwise it could pick up bacteria and cause irritation and/or infection. Alternatively – and especially if you suffer from shaving rash – try a short stubble beard without lining, but tapering instead. This suits guys that have a chiseled face which needs softening. Fade the neck and cheeks in on a shorter grade to soften the whole of face. If you do swap wet shaving for a short stubble beard, remember to care for your skin. Use an exfoliator to prevent ingrown hairs and follow with a good light moisturizer worked into both the face and the stubble. Sideboards, side whiskers, mutton chops – whichever name you know them by, men are probably at a loss as to why they are on this list. But hear it is; It’s a classic. It is also just the ticket if you’re itching to lose the beard in favor of something less trite. Who’s it For? Not everyone, obviously. But from a face shape suitability perspective, sideburns are pretty egalitarian. Sideburns suit most face shapes, and are especially good for longer faces as they broaden the appearance of the face. How to Get It: As ever, it’s about growth: about two weeks to be exact. Once you’ve got some decent coverage, shave your face and neck, taking care to leave a good bit of room around your sideburns. Trim your burns to the desired length and thickness (the thickness of your sideburns should be consistent with the rest of your hair) and either taper them or give them a clean bottom edge. 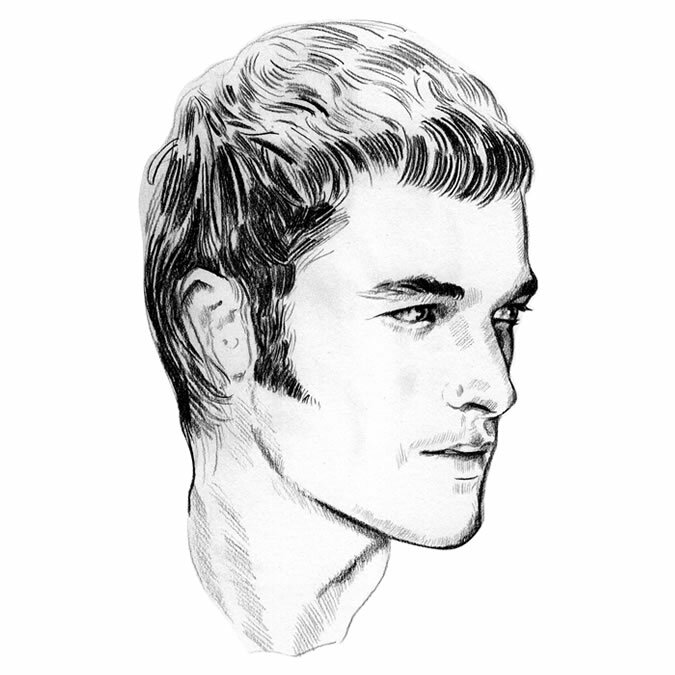 The length of the sideburns should reflect how subtle or extreme you want the effect to be. Reference your choice of length with a feature on the face such as the lip line or jaw line. Small clippers, or a detailer, are good for maintaining the length as the blade is small but sharp and ideal for outlining.